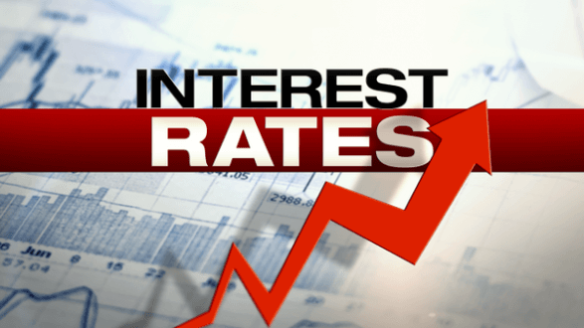 The highly anticipated announcement from the Federal Reserve became a reality on Wednesday when we learned that interest rates increased by an additional 0.25%, as it relates to the interest rate controlled by the Federal Reserve – the Federal Funds Rate. Such a rate should not be confused with the rate that consumers receive on bank loans. Rather, such a rate is tied to lending between financial institutions and to transactions that occur between financial institutions and the Federal Reserve. The Fed Funds Rate does in fact impact retail based interest rates tied to mortgages and car loans but such rates tend to be higher that the Fed Funds Rate itself. The reaction by global market participants remained relatively quiet to the decision to increase rates. One of the main reasons for it, in our opinion, stems from the clear guidance that the Federal Reserve has maintained over the past year. Their intentions were clear – the economy is firing on all cylinders and the decision to maintain an interest rate normalization path remains a healthy one. Given the current low level of inflationary pressures, the decision to raise interest rates now may be a useful tool to combat the potential for higher than anticipated inflation figures over the next few years. Moreover, higher interest rates now, amidst an environment where consumer sentiment remains elevated and corporate profits hover at record highs, may allow the Federal Reserve to act in times of economic stress, whenever that may appear over the next few years. We’ve discussed in our previous commentaries that we believe the current economic cycle is near its peak. Following such peaks, economic cycles have historically become more subdued before the next cycle begins. The concept of a subdued cycle may be one of lower consumer demand for goods and higher inflation figures. This may also be indicative of a mild recession, which is a healthy occurrence and has been historically evident over 7-9 year cycles. Although globally equity markets captured losses for the week, our assessment is that the outcome was not entirely associated with the actions of the Federal Reserve. Our main convictions behind that statement have to do with the fact that the Fed’s actions were anticipated and priced-in, so to speak. Additionally, the U.S. ten year treasury yield failed to produce any meaningful activity. In fact, the ten year yield remained neutral, and the Barclays U.S. Aggregate Bond index finished the week higher by 0.17%. Such a return goes against the conventional wisdom that downside returns are typically associated with Federal Reserve decisions to raise interest rates. Despite that return, however, it’s important to note that the index is down nearly -1.60% for the year. As the economy further expands, the notion of higher interest rates, and the potential for higher inflation, may likely pose roadblocks to positive returns for fixed income investments. As a result, our internal assessment is one that does not favor such exposure over the long-term. The added benefit of long-term equity exposure, despite the potential for higher volatility, may be a more sound approach to long-term success for many investors with a time horizon of greater than seven years. As it relates to the aforementioned equity market downside, which caused the MSCI World Equity Index to close the week lower by 0.64%, the rhetoric tied to trade discussions between the U.S. Canada, as well as political news stemming from Italy and the United Kingdom, may have attributed more to volatility than the actions of the Federal Reserve.